Nothing is more American than “baseball, apple pie, and mom” as the old saying goes. In Wooster, you can add a fourth name that fits perfectly with them in the summer. Larry Smucker. Thousands of kids have gown up with Smucker coaching them in the Wooster Parks & Rec Swim Program. In addition to leading the successful Whales team since 1985, Smucker has also served as the director of the highly popular Freedlander Swim Meet since 1978. The Wooster swim program has served as a tremendous feeder program for the Generals high school boys and girls teams, which annually contend for league championships and send tankers to the state meet. Local swimmers get used to winning at an early age under Smucker;s direction, as evidenced by 16 straight Mid-Oho Swim League titles for the youth program and almost as many East Central Swim League firsts. He has also been the commissioner of both those leagues for most of his coaching career. Smucker has not only been a good coach, specializing in working with novice swimmers, but he has surrounded himself with qualified assistants. He has also been active in maintaining and improving the famous outdoor Freedlander Pool. He helped obtain funds in 2002 for a new scoreboard and 350-seat amphitheater there. A 1959 graduate of Orrville High School, Smucker lettered in football and baseball there and was a teammate of basketball coaching legend Bobby Knight, a fellow Wayne County Sports Hall of Famer. Smucker went on to play football at Manchester College (Ind. 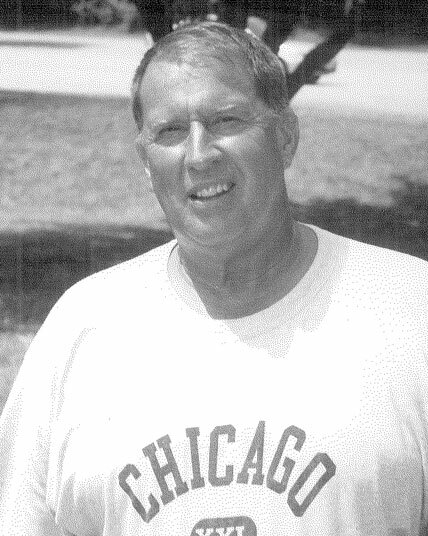 ), where he was a two-way all-conference player and team captain in 1962. Upon graduating from college, Smucker went on to spend most of his career in the education field teaching and coaching at Mansfield Madison H.S. With all that Smucker’s contributed to helping others, he’s also remained an active athlete into his retirement years. Wintering in Florida with his wife, Linda, the Smuckers have two grown children, Amy and Matt, and three grandchildren. In recent years, Smucker has competed and helped organize the Polk County (Fla.) Senior Games annually and has twice been named Outstanding Male Athlete.